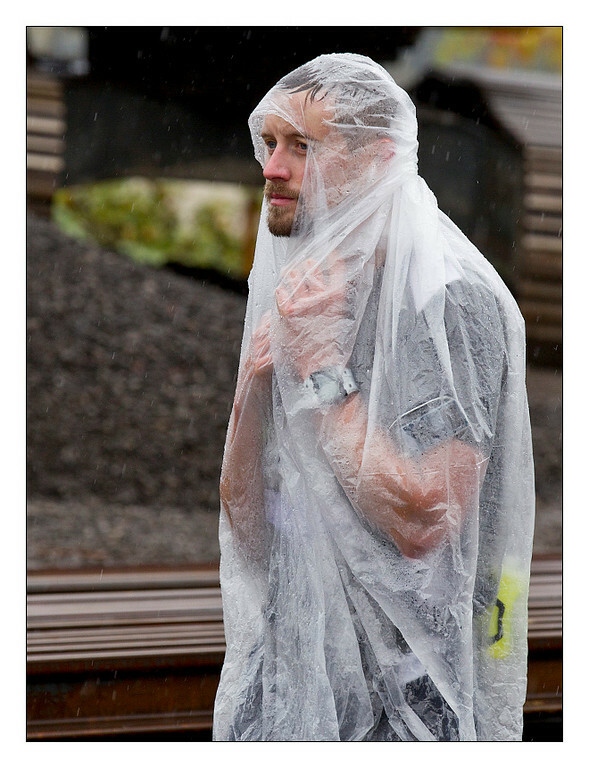 Today was the Portland Marathon! Now I don't have a lot of experience photographing sports events where the athletes are people but I think these turned out well. 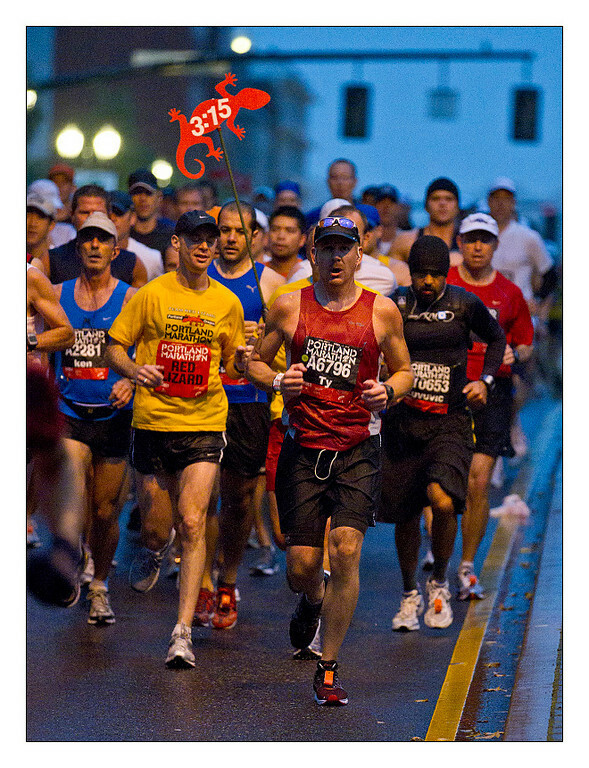 When people run there is a lot more up-and-down than when dogs run but they also move more slowly so they are easier to time. 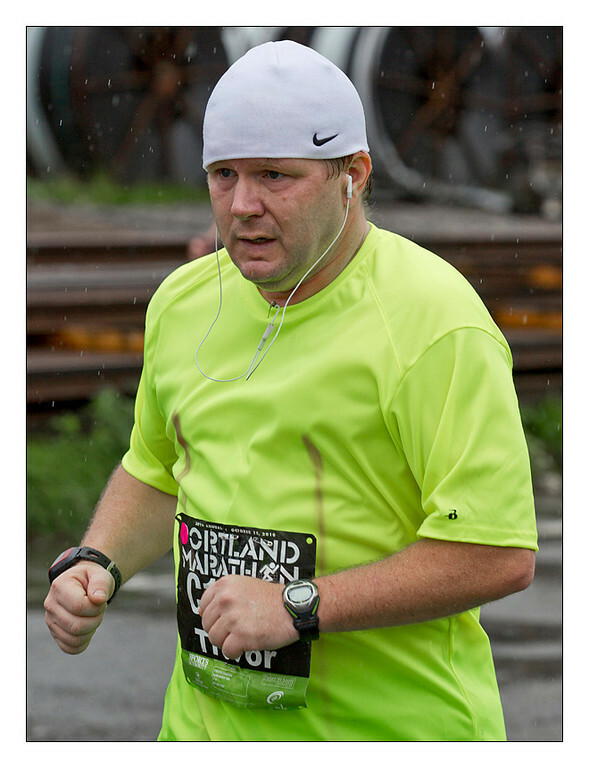 My buddy Stacey's wife ran this year but he chose not to participate. That might have been a good choice because the weather today way awful. Most of the time I don't mind the rain here in the Pacific NW but this was that heavy early fall rain. 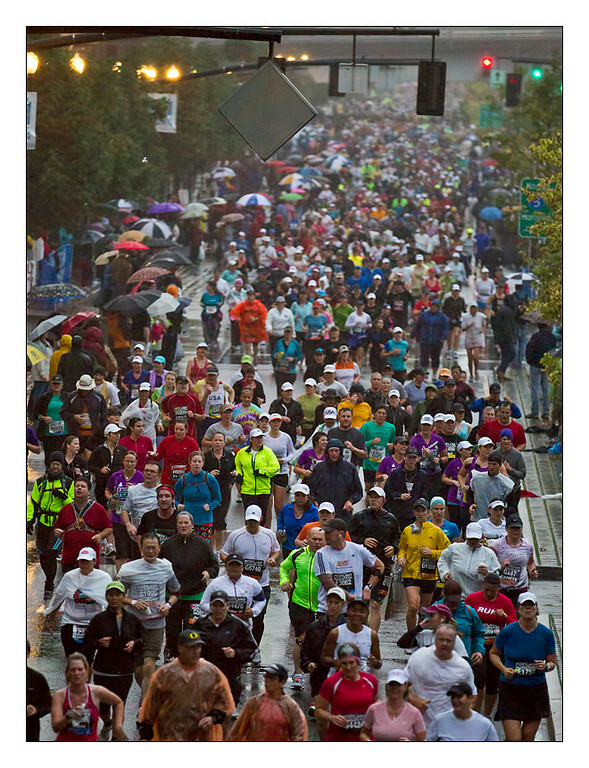 Despite the dubious weather the crowds turned out and I got soaked but was able to capture a bit of the action. 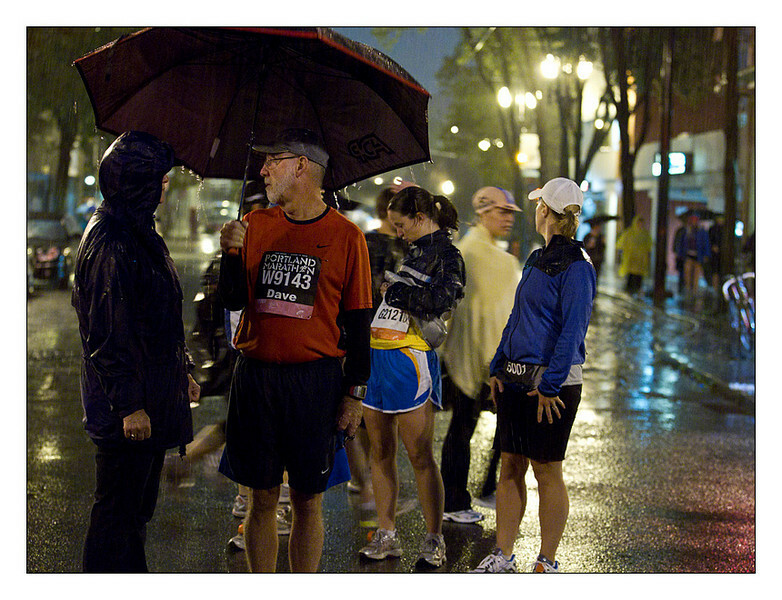 Runners waiting for the race to start and trying to keep dry. The elite runners lead the way at the start. 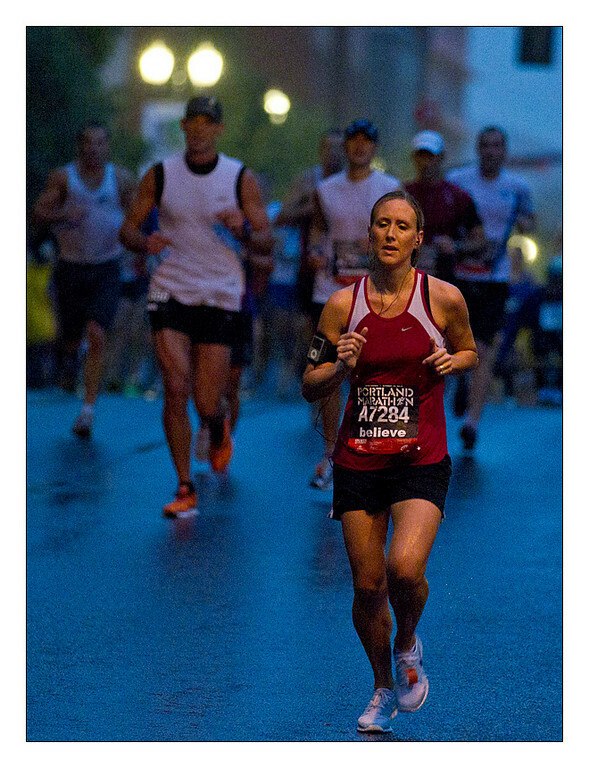 A runner illuminated by the street light. 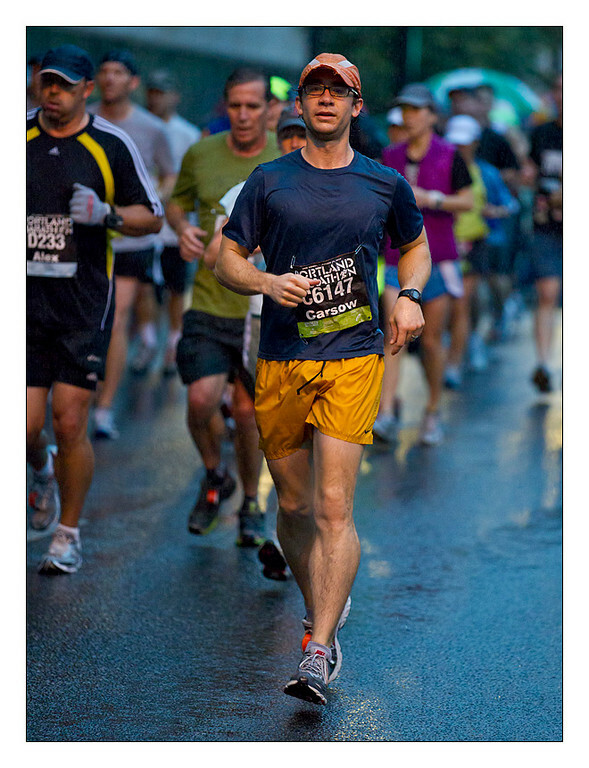 The runners are already soaked and they aren't even to the 2 mile marker. 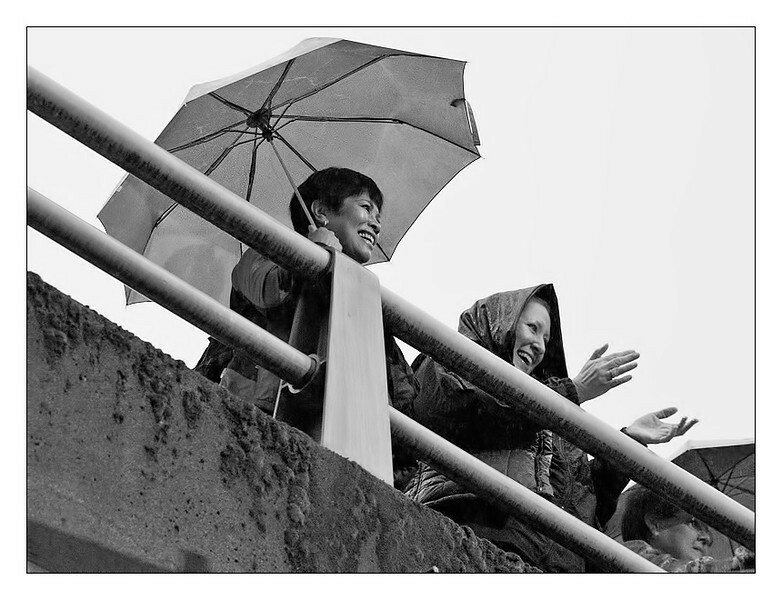 Spectators on the Hawthorne Bridge. All of the runners still to come! 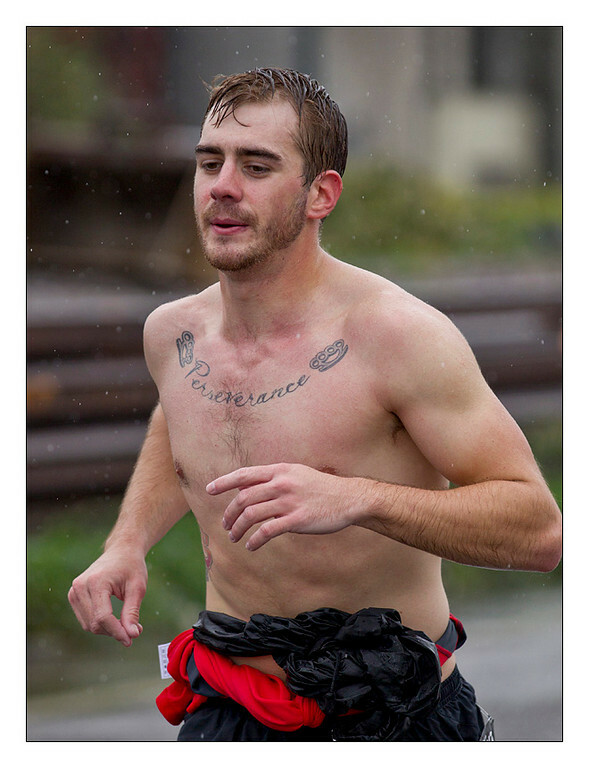 That is a very apt tattoo, "perseverance." 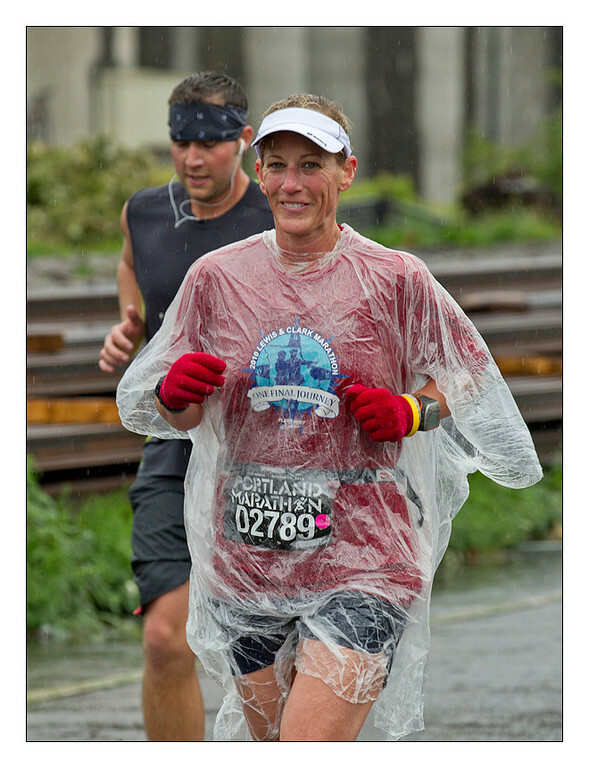 Fat raindrops and a thumbs up, that's optimism for mile 24! 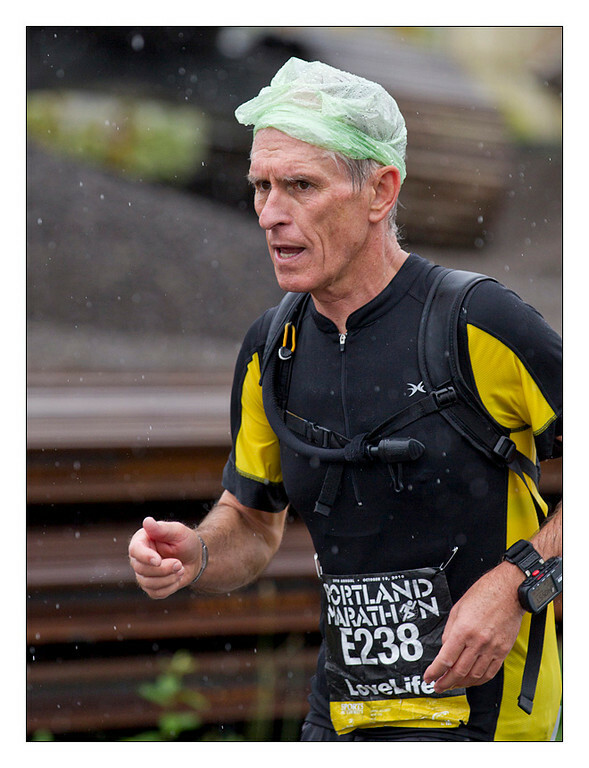 I guess a plastic bag is one way to keep your head dry. Chaffing is one of the dangers of a long run, this looked painful. 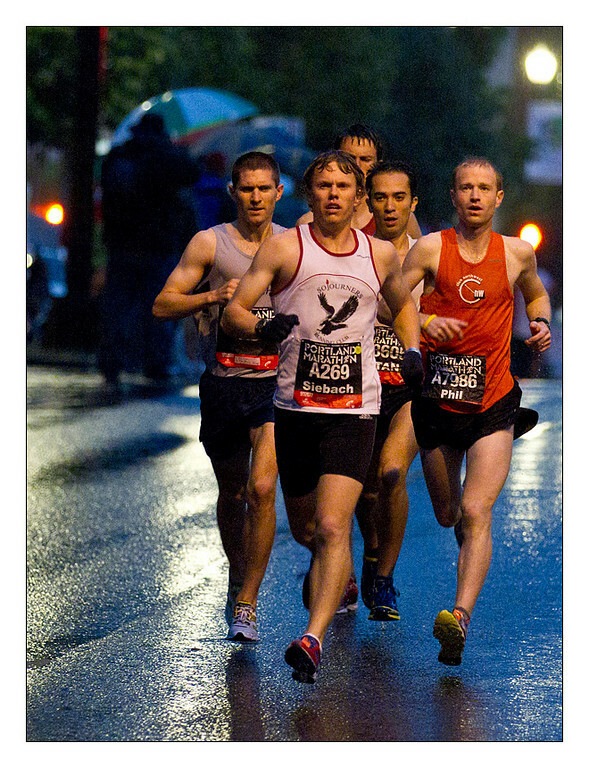 For some runners the rain and the distance proved too much. 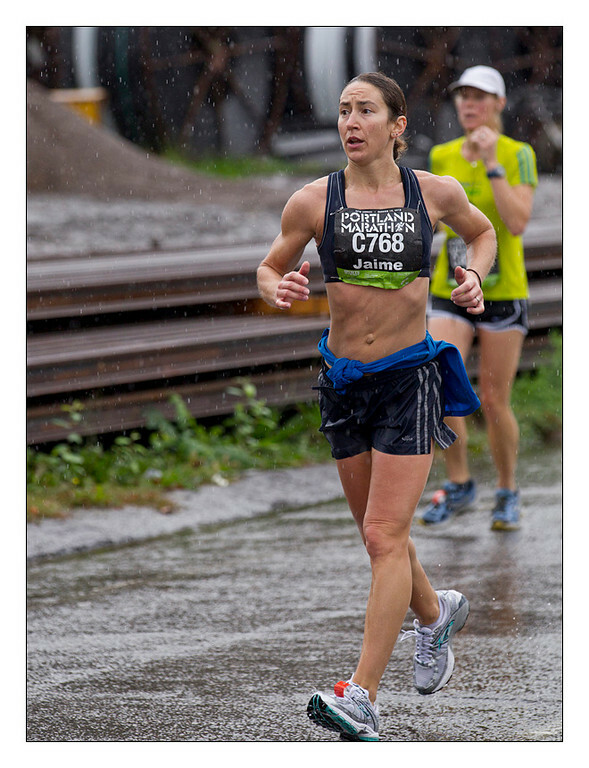 This woman actually got married on the course, I think at mile 21. Fantastic photos! 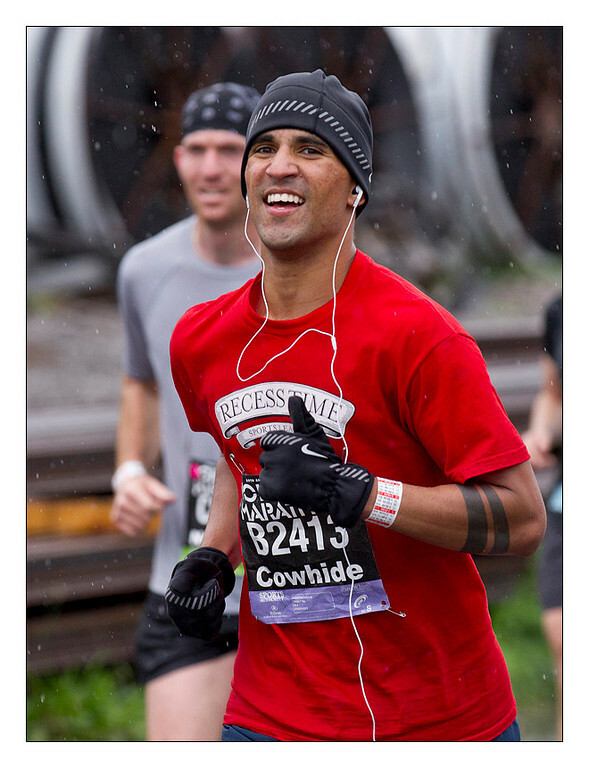 I ran the full marathon yesterday and thought the rain just added to the experience.